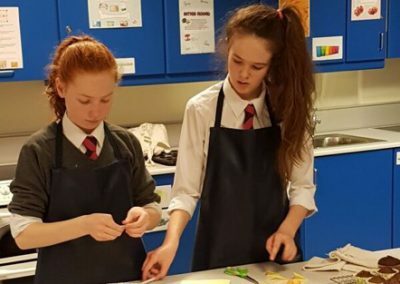 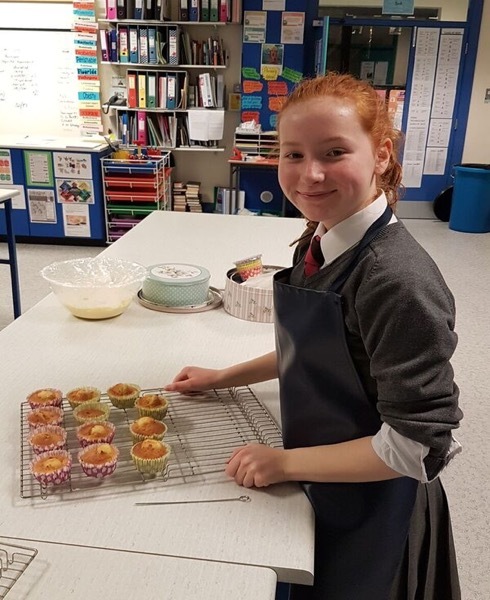 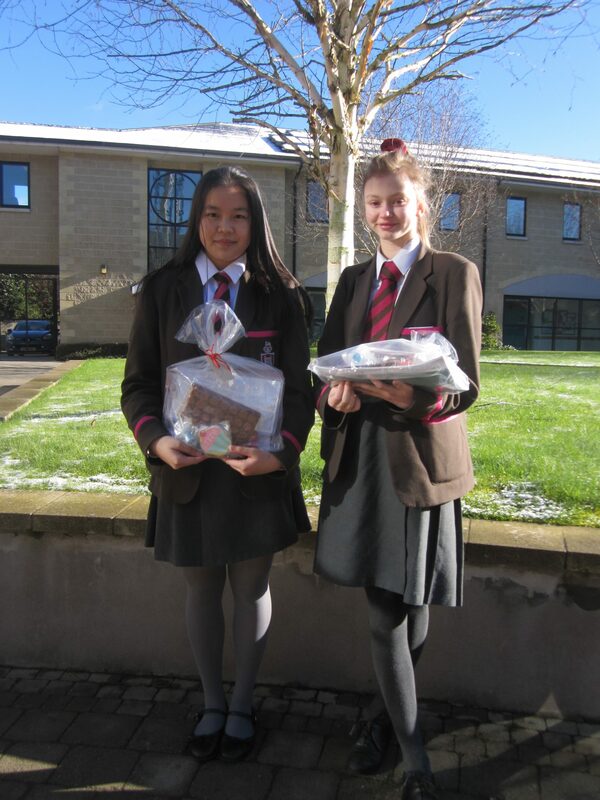 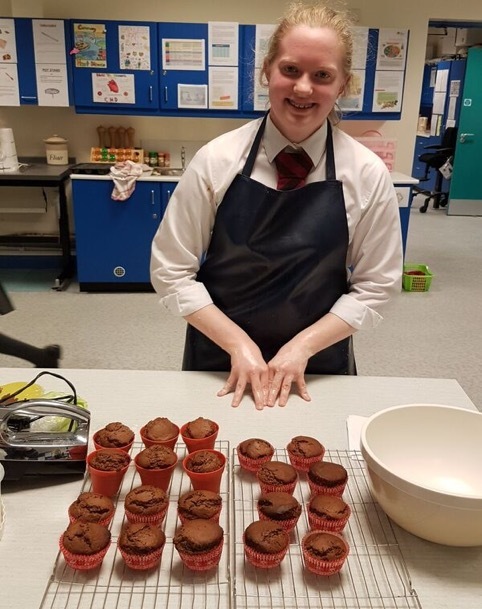 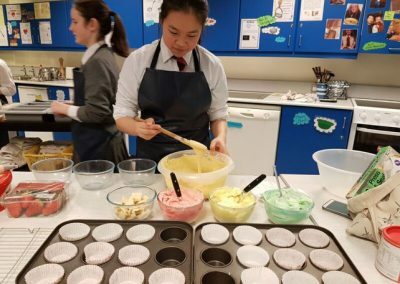 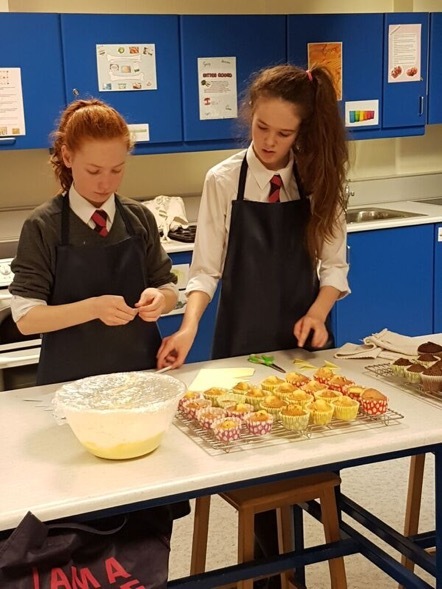 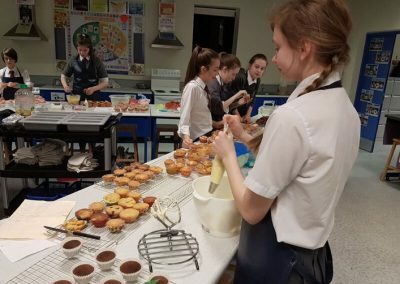 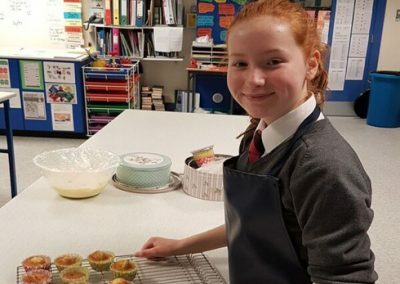 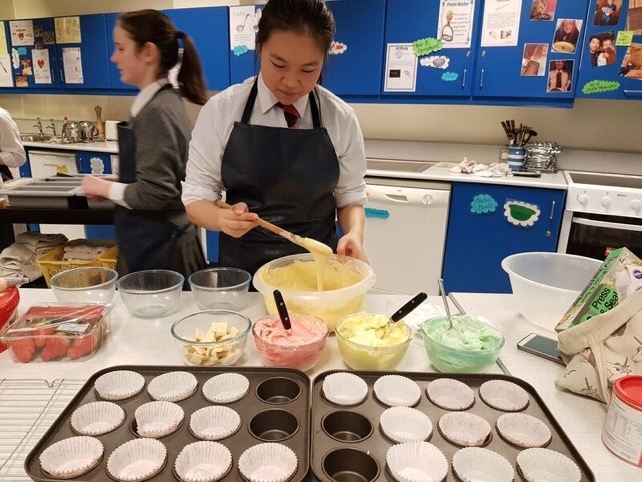 Congratulations to our Year 10 pupils who took part in the Cupcake Challenge final, during the P5 & P6 Open Evening last month. 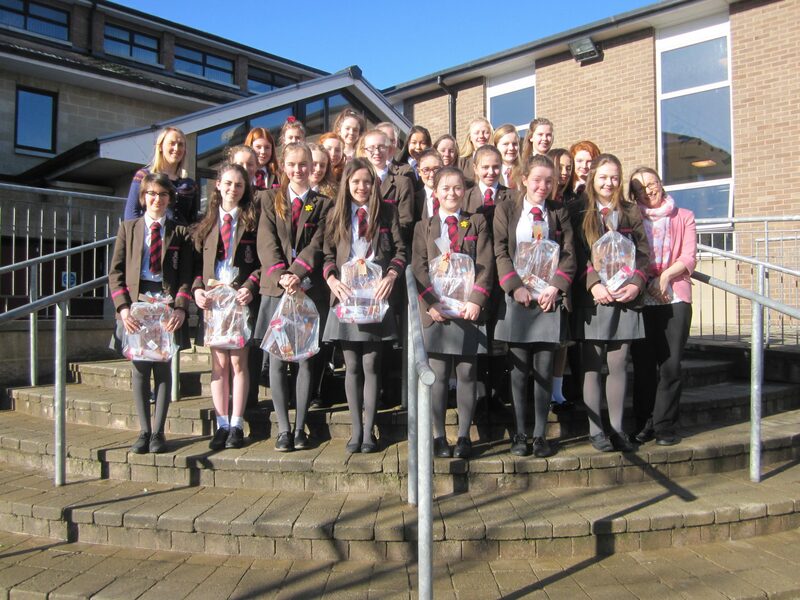 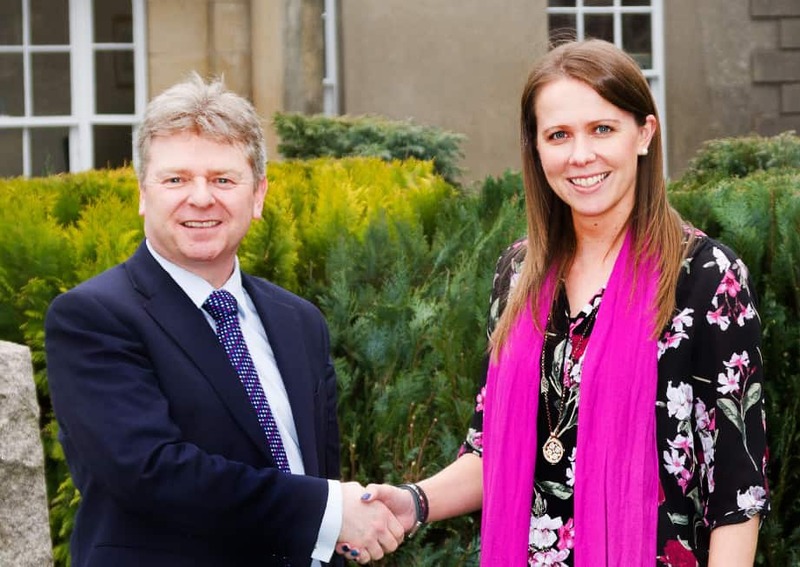 Mrs McMullan and Mrs Stewart wanted to commend all students who got involved, for their hard work and efforts. 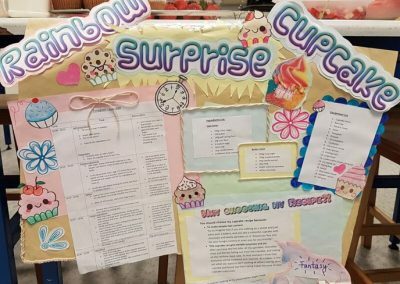 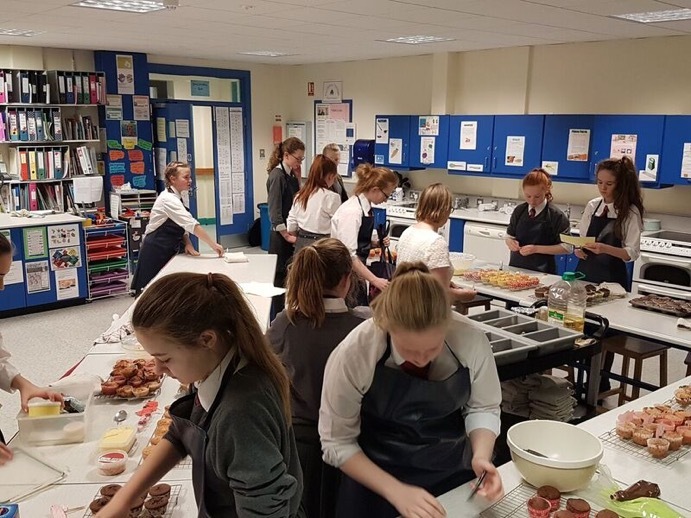 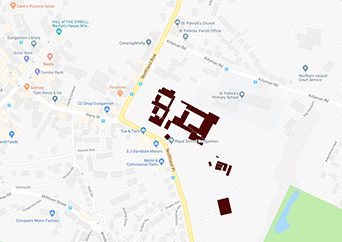 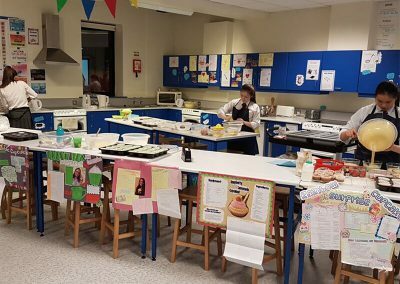 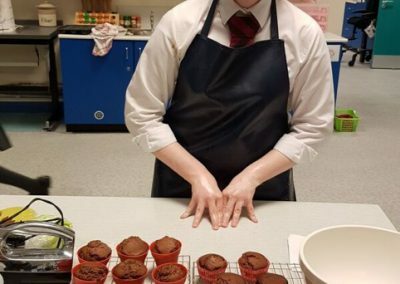 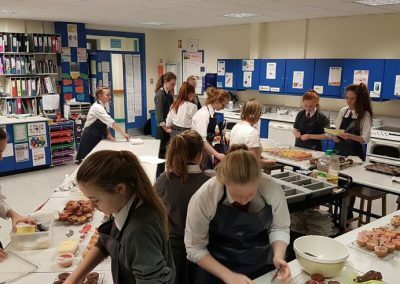 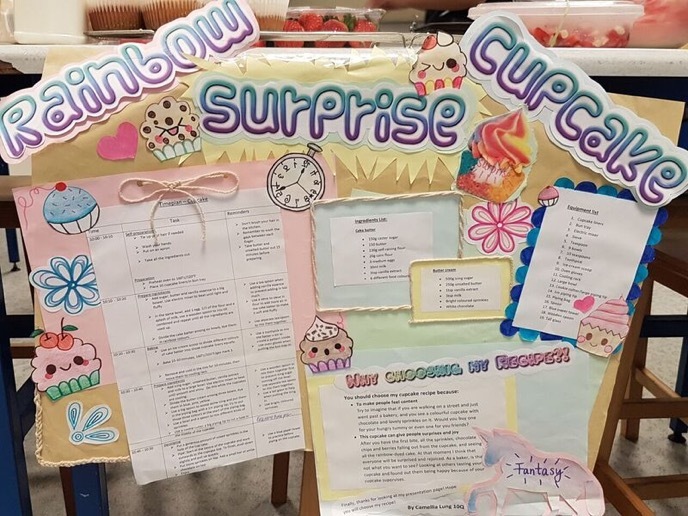 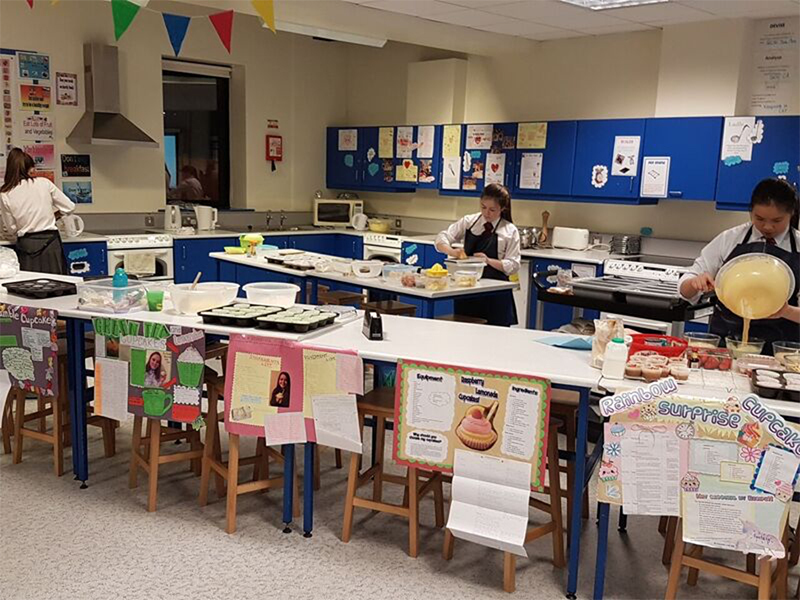 All visitors, staff and prefects who visited the Food Technology Department during the Open Evening were most impressed at the standard of work being produced. 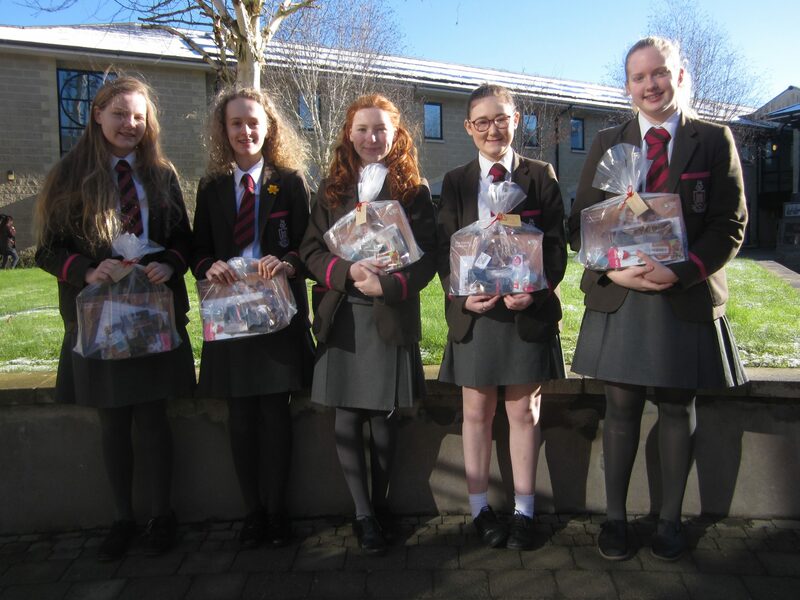 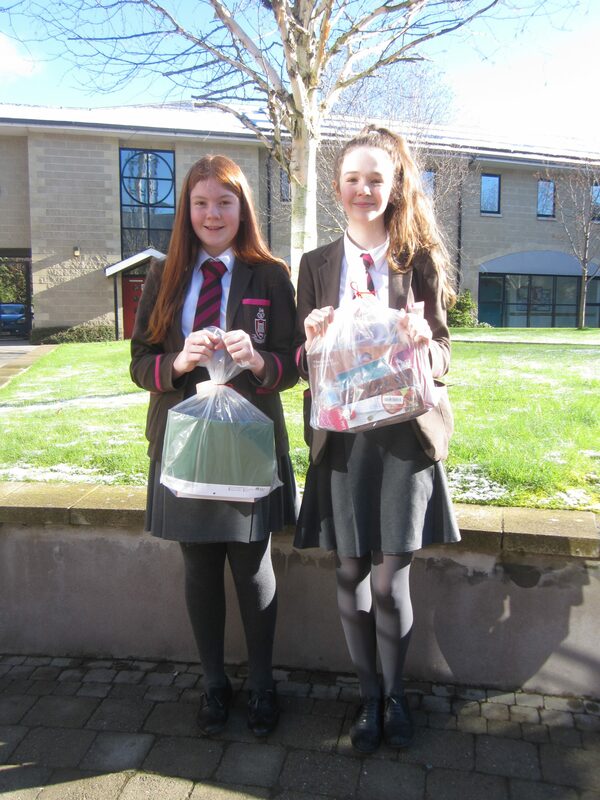 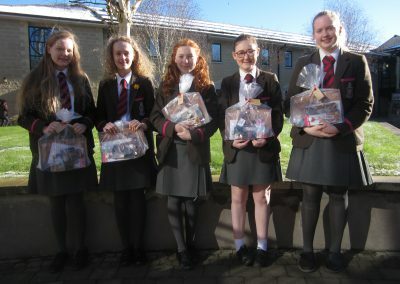 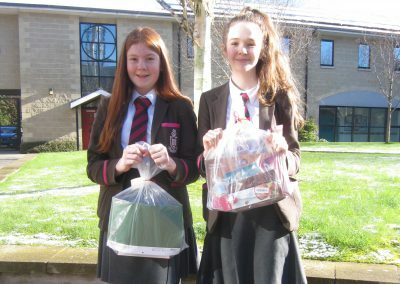 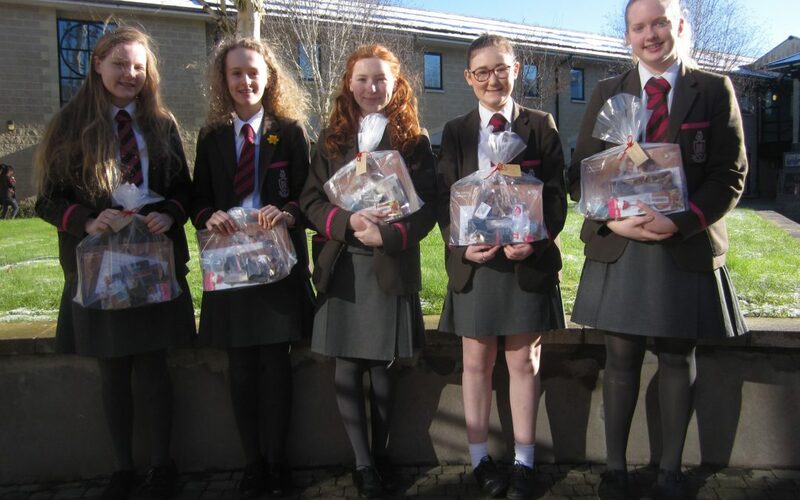 Joint third place – Zara Mc Dermott, Ellen Hamilton, Chantelle Gallagher, Bethany Walker and Zoe Talbot. 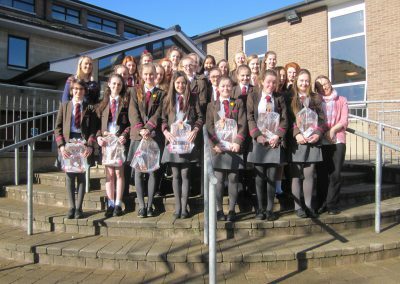 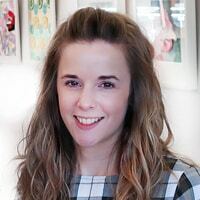 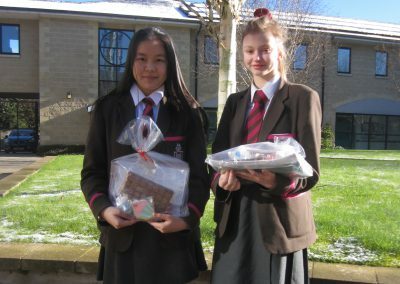 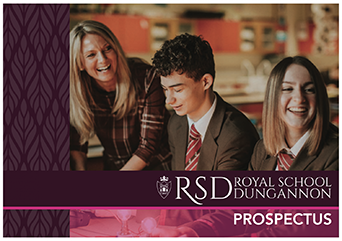 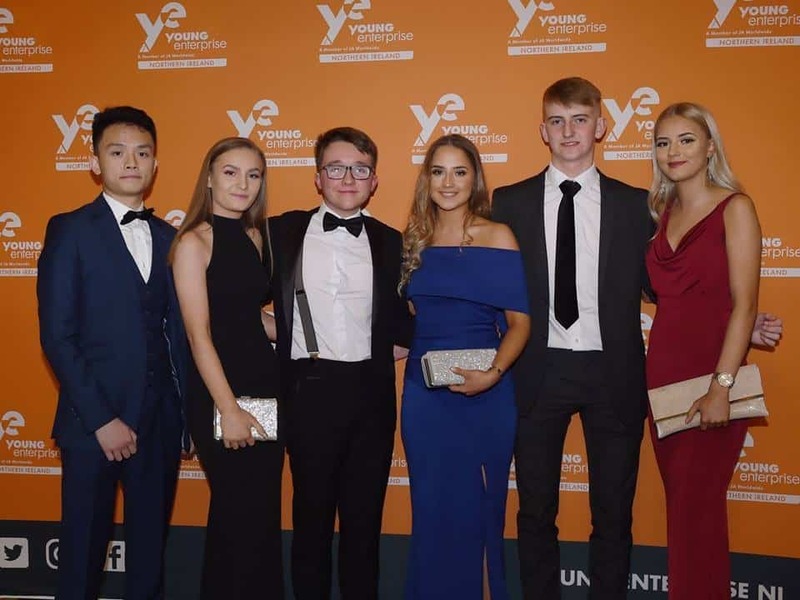 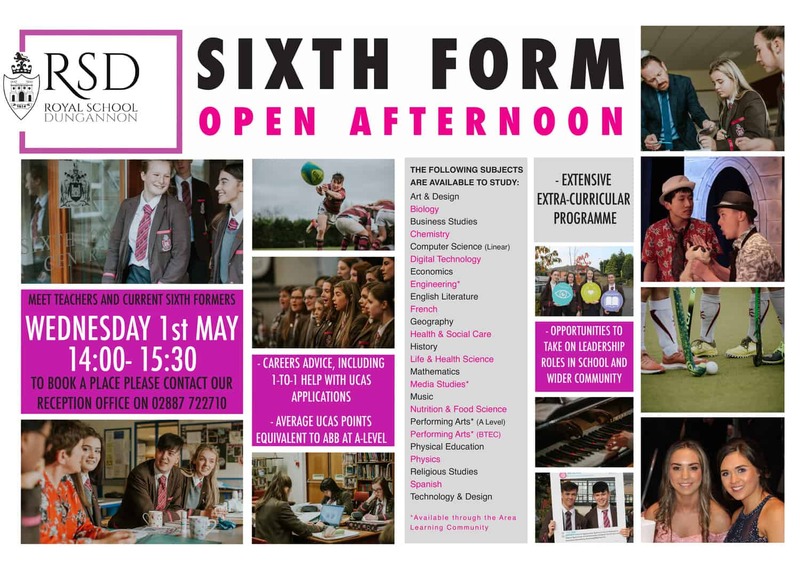 Emily Adams, Hannah Watt, Ellie Curry, Katie Hardy, Rebecca Hicks, Grace Ferguson, Elle Burke, Lucy McConnell, Lucy Stewart, Ellen Farquhar, Robyn Jennings, Zara Boyd, Ellen Black, Tracey Sloane and Ellie Greenaway.